Hello everybody, this is Radio KSC! 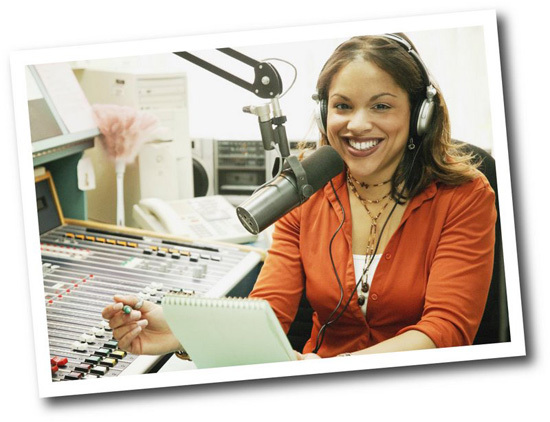 I am your presenter Kelly with lots of interesting things for you to listen to today. But first of all, I have to tell you, Ethan is sitting here with a sad face. You look quite upset Ethan. Do you want to tell the listeners what happened to you? Ethan: Kelly is just teasing me because I don't like the weather today. Kelly: You also complained yesterday and the day before yesterday. Ethan: Well, I know, but really Kelly I had an awful journey here. It’s OK for you because you came in the car but I came on the underground and I took a cab and the underground is just awful when it's raining. I got wet walking to the station and then everybody was on the train with their wet coats and wet umbrellas, everything was sticky and dirty there…I just hate it! Nobody talked during the journey and nobody wanted to help some woman who lost the wallet! It’s all because of the rain! Ethan: I don't complain that much. … Well, I do a bit, but, honestly, my trousers are wet and I have to wear them all day and my feet are wet, so now they're freezing cold. I bought these shoes last week and now look at them - ruined. I look ridiculous. Like a clown! Kelly: You're such a fashion victim, Ethan. It's a radio. No one can see your shoes. Well I have some bad news for you Ethan. The weather forecast says it's going to be like this for the next week. Ethan: Really? Nightmare. You know, I don't mind rain when I'm at home. But when I have to go to work,..awful. Anyway, that journey was really stressful. And that wasn’t the end. When I arrived to the Radio station I realized it was the wrong one! The taxi driver didn’t understand me at all! I called a cab again but there was no reply. I decided to go on foot because it wasn’t so far. After few minutes I saw one yellow cab, I hailed, it came, but firstly splashed me all over my face!! I just smiled and came into the cab, said the location and looked through the window. I thought to myself: ‘What else could happen to me?! This is one of those days!’ I finally arrived here but the doorman didn’t want to let me in because he thought I was a beggar! I don’t blame him! Look at me! Kelly: Ha, ha, poor Ethan. You look fine. Let’s continue with the Quiz now. Ok? Ethan: Of course. I am ready. Let’s start.